If you think elements of the Margit are similar to another Prada bag we recently covered, they are. 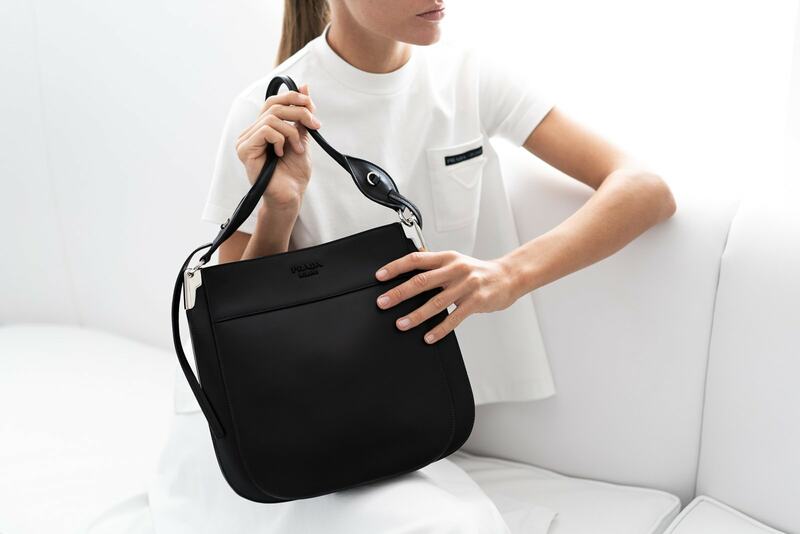 The Prada Margit bag shares design features with the Prada Sidonie, including the same rolled top handle, the leather strap detailing, and the hardware along the sides of the bag where the top handle connects. But that’s where the similarities end, as this bag is a hobo and hence more practical for daily and evening use. Large Margit, Filled.Large Margit, Interior Zipper Pocket.